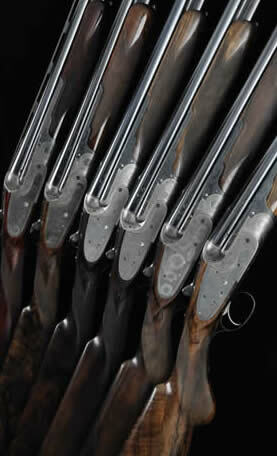 Gavin Gardiner Limited was established in 2006 to take over the running of Sotheby’s London based auctions of Fine Modern and Vintage Sporting Guns. Already a leader in this competitive and diverse sector, Gavin Gardiner’s involvement with the London Guntrade and the International Sporting Gun Auctions can be traced back over thirty years. Having had a hand in sale of some of the most exciting sporting guns to come to the market in the last twenty years, career highlights have been numerous and include: guns built for Royalty (Edward VIII and Lord Mountbatten), built for the most famous sportsmen of the day (Lord Ripon, Prince Victor Duleep Singh and Harry Stonor to name but three), Important Statesmen and Prime Ministers (Winston Churchill, Harold Macmillan and Lord Douglas Home). 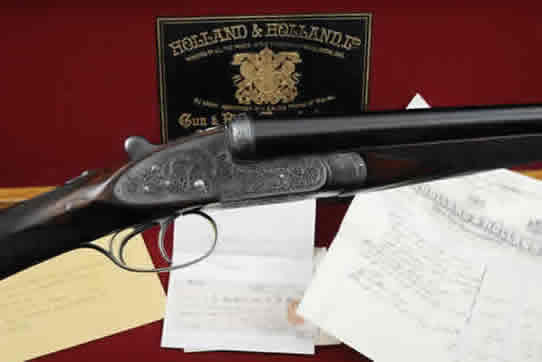 More recently he has been responsible for the sale of the rare and almost unique John Dickson & Son round-action, side-opening over and under gun. Based on the already successful round action, this gun is effectively a side by side, that has been turned on its side. Opened with a sidelever, and truly side opening, it has many unique qualities, superb handling again being at the fore. 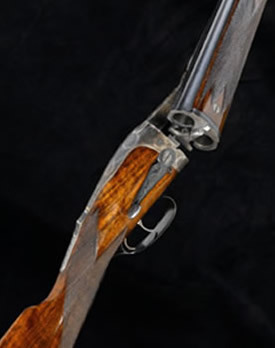 The action is the shallowest of any over and under gun, being the exact depth/width of the barrels at the breech. The gun sits very low between the hand and points in a very natural way. It is perhaps the best handling of all over and unders and despite its unconventional action remains a joy to use. It is thought that as few as 4 examples of this design were built, the example presented at the Gleneagles Hotel was the last built, and remained in an exceptionally good and original condition. It sold for a World Record price of £78,000. When Eric Clapton decided to sell his collection of vintage Boss & Co sporting shotguns, it was to Gavin Gardiner Ltd that he turned. The collection comprised two pairs of 12-bore side by sides, two pairs of 12-bore over and unders and two further single over and under guns. Attracting interest from all over the world, the guns were sold to private collectors for very strong prices.